This game is the sequel to Jurassic Park Builder and as well as building a dinosaur resort park also involves battling them in an arena agains Vic Hoskins and other players and their dinosaur teams. To have any chance of being successful you will need to constantly level and evolve your dinosaurs. Juraassic World: The Game also involves collecting dinosaurs in the same type of manner as the Pokemon games. 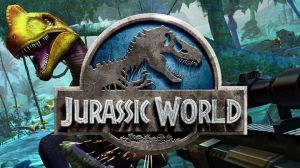 No discussions open for Jurassic World: The Game at the moment.